October 2016. Qualia is working with the National Railway Museum, York, to design the activity spaces for its Future Engineers Project. The project was conceived as part of the Museum’s STEM outreach programme of learning events with an emphasis on science, technology, engineering and maths. Qualia is working very closely with the museum's in-house graphic design manager, Chris Mossop, to get the results exactly right. Richard Mathers from Qualia is creating seamless 3D environments that match the project's established visual identity as envisioned by Chris and his team at NRM. 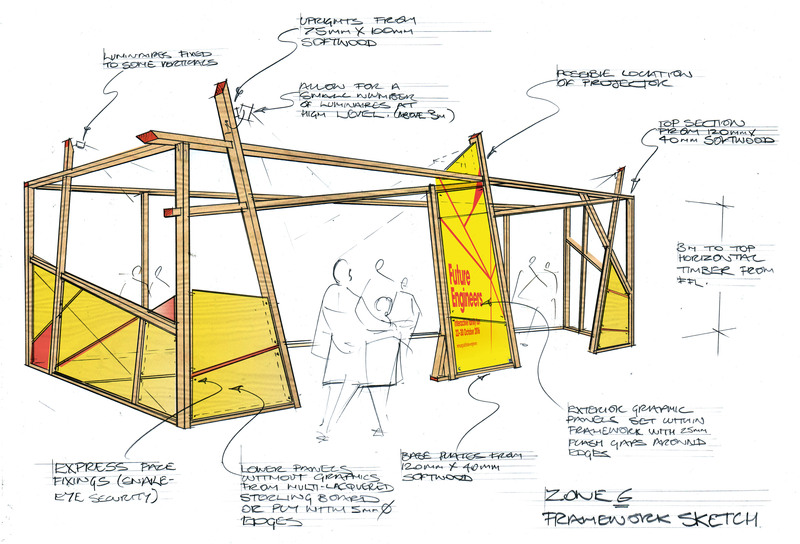 The sketch (right) shows how Qualia's clear drawn information will facilitate an efficient and speedy build process. September 2016. 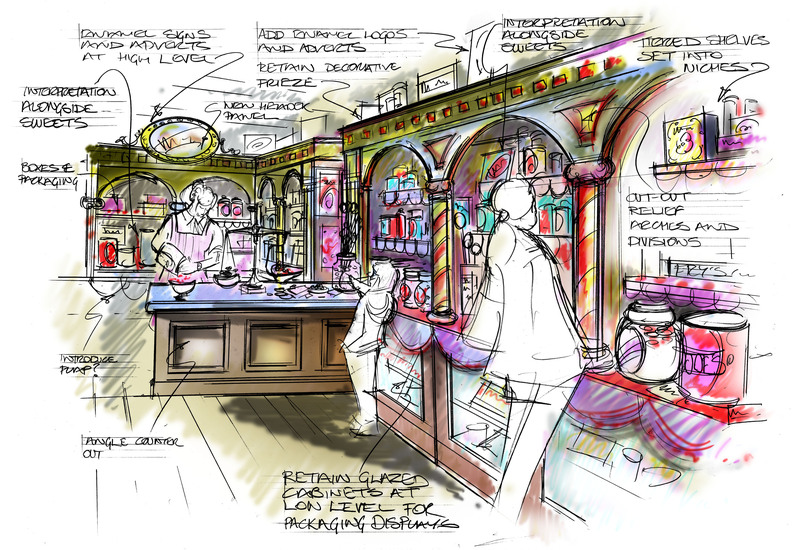 Qualia has been hired alongside Paragon Creative to produce a series of new interpretive installations that tell the story of sweet and confectionery manufacturing in York. The new experiences, planned for 2017, will work alongside the museum's existing displays and will include a Victorian sweet shop in the museum's existing Kirkgate indoor street. 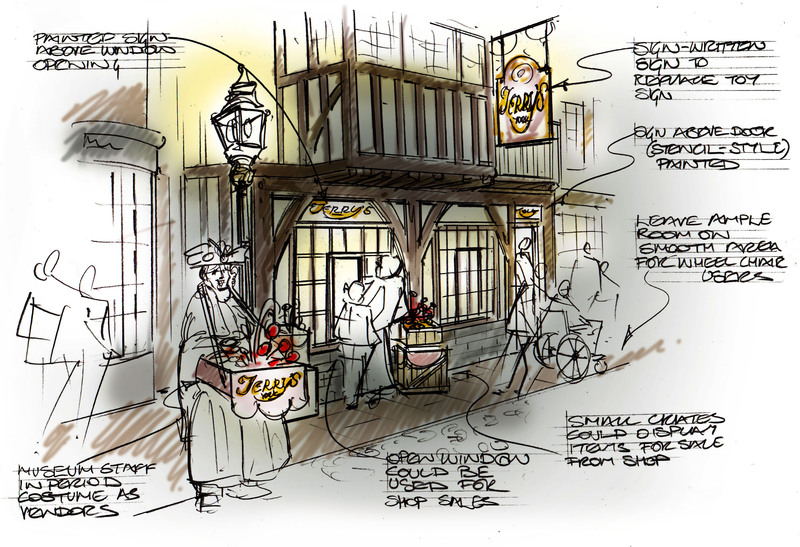 It will soon be possible to rediscover some of the the old favourites that were first created in York. June 2016. Qualia has been hired by its colleagues at AIVAF Limited (interactive exhibit developers) to supply concepts for a new series of children’s experiences at a new site in Sheffield. So far, Qualia has designed activity zones based on a kitchen, a garage and a fun-filled supermarket. February 2016. The new Exchange Museum in Bridgetown is a collaboration between Qualia Limited and Brennan Design LLP. 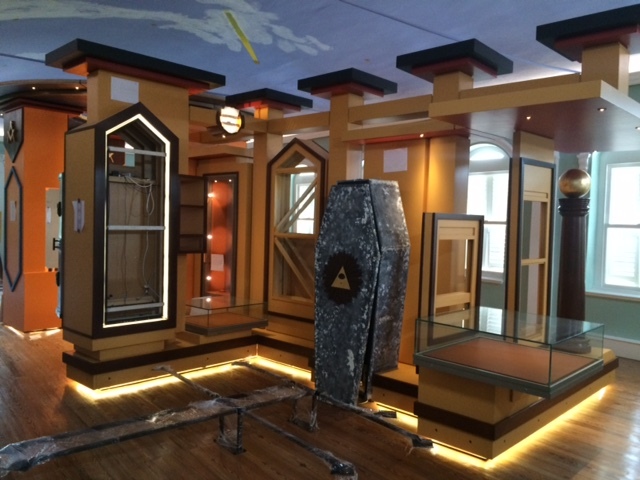 The following photographs show the museum displays under construction on the second floor. 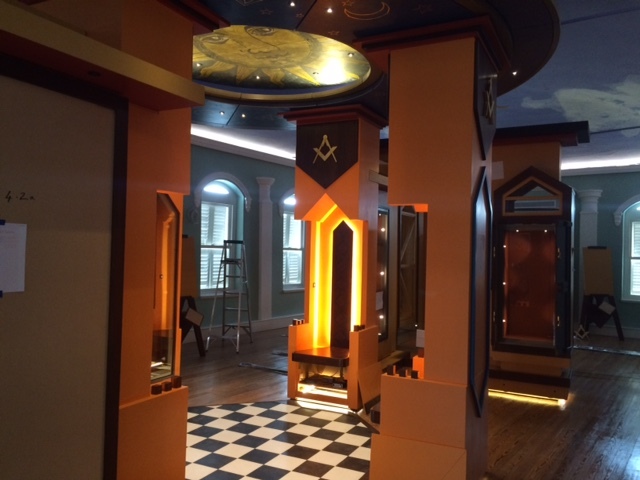 This part of the museum interprets the mysteries, secrets and esoteric traditions of Barbadian freemasonry. 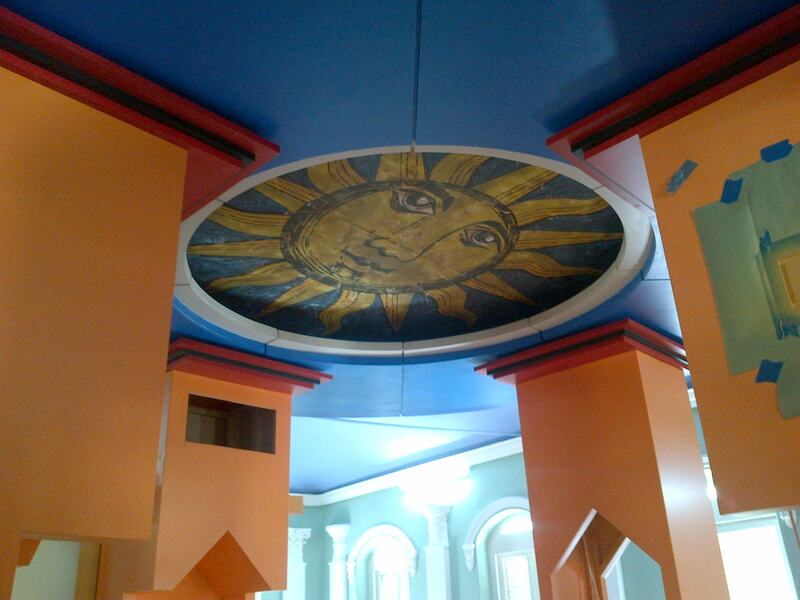 The building itself is a former masonic lodge and banking headquarters.